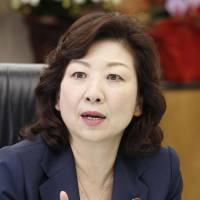 Newly appointed Internal Affairs and Communications Minister Seiko Noda said she wants to take the initiative to promote teleworking to pave the way for more flexible working environments. Noda, 56, whose son is developmentally disabled, said the practice, also known as telecommuting, can be a huge help for women who juggle work and family commitments. The ministry has been promoting telecommuting since 2015 as a way to change people’s working styles and ease heavy transport congestion ahead of the 2020 Tokyo Olympics and Paralympics. As of September 2016, about 13.3 percent of businesses had implemented the system, according to a ministry survey. The government aims to increase the figure to over 30 percent by 2020. 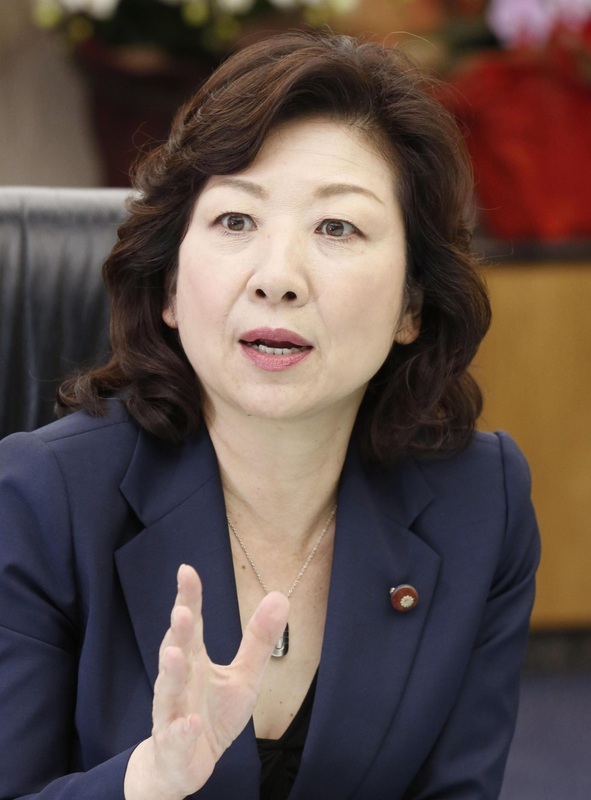 Noda, who doubles as minister in charge of women’s empowerment, said she will continue her efforts to increase the proportion of female lawmakers in Japan’s male-dominated political hub at Nagatacho. Currently women account for a mere 9 percent in the powerful 475-seat Lower House. In a bid to change the status quo, a bipartisan group of lawmakers including Noda submitted a bill to the Diet earlier this year to oblige political parties to try to make the ratio of female and male candidates in local and national elections “as equal as possible.” Noda hopes to enact the bill in the extraordinary Diet session this fall. Although the bill does not include any punitive provisions, Noda said the legislation will help raise people’s awareness about the gender gap in politics. “Many still think politics are for men,” Noda said. But changing that mindset could also change the way people see women in business, she said.